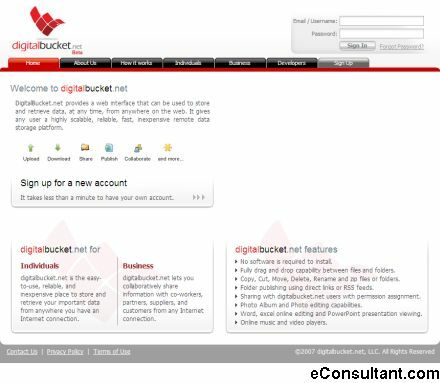 Description : DigitalBucket provides a web interface that can be used to store and retrieve data, at any time, from anywhere on the web. It gives any user a highly scalable, reliable, fast, inexpensive remote data storage platform. Free 1GB storage space, during the public Beta testing.